Now here’s some news worth toasting. 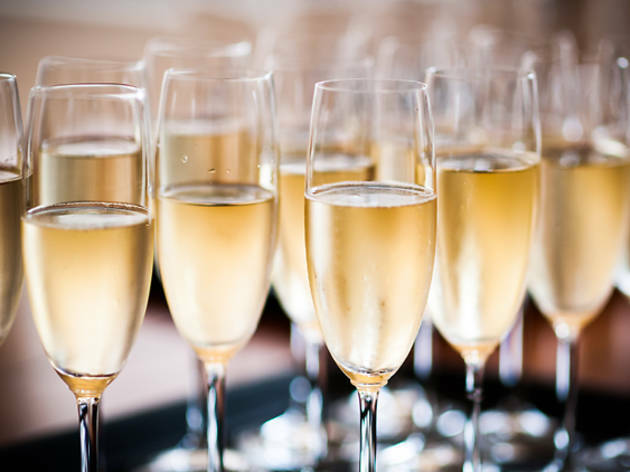 Prosecco Springs, London’s first ever festival dedicated solely to prosecco is taking place at Oval Space in May. The three-day fizzathon (Fri May 12–Sun 14) will see producers of the sweet stuff from northern Italy flock to east London for tastings, masterclasses and all kinds of bubbly fun. Tickets for five-hour ‘sessions’ at the festival start at £35 a pop (literally) and include a glass of fizzy wine from each of the eight top Italian producers. Eight glasses, people! Don’t worry, cicchetti, antipasti and Italian cheeses will be on offer to keep the bubbles from completely going to your head. Those attending masterclasses will pay a little more to learn the art of prosecco quaffing from sommeliers from East London Wine School. But don’t worry if that sounds a bit stuffy to you; the music team at Oval Space are putting together a line-up of booze-enhancing beats, with live jazz and DJs across the weekend. We think we've reached peak prosecco now, and man, does it feel good. Find out more at www.proseccosprings.com. Fancy a glass (or five) of fizz? Check out London's best bottomless brunches. Don’t waste your money. Went to the one in 2018. Was not worth the money. Vendors were mean with the prosecco and some of it wasn’t great. You could only get one drink from each vendor. If you liked a particular drink they wouldn’t let you use another token to get another glass. Food overpriced. No atmosphere. Fantastic opportunity to join an unique Prosecco Tour in Italy, a start of the art Prosecco tasting experience between the cities of Treviso, Valdobbiadene, Asolo and Venice. Full progam available upon request. Last very few seats available for the week-end of July 7th. I will be your tour-guide: looking forward to accompanying you and guide you through the discovery of one of the most loved wine in the world! This was a brilliant event. It's lot of prosecco for the price of the ticket. The masterclass was great but it was pretty rushed. An hour is not a long time to taste/drink 8 (half) glasses. The venue had a terrace and a balcony which meant that inside wasn't too crowded and people could dance to the amazing Dj. Here's hoping it comes back.